The Cannabis Industry must prioritize Occupational Health Safety as legalization approaches! Have you ever slipped, fallen or hurt yourself? In a weird way- I hope so… it means you’ve been out on adventures. You’ve ice skated, you went on that hike and- “who put that rock right there? !” It means you’ve stretched your comfort zone a bit or maybe it just means your graceful moments come and go. Now, when it comes to hurting yourself at work- that’s a different story. I hope neither you nor your team have ever had an accident at work. That slippery floor, those sharp shears, that repetitive movement, that chemical, that heavy box (if it’s filled with chocolate- please bring to me…) can all pose a hazard. Is your team trained on safety at work? 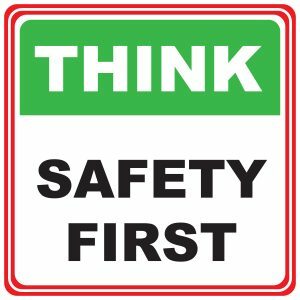 Do your managers observe and coach to ensure everyone is working safely? Trimming marijuana leaves, working around grow lamps and extracting oils take a hit on workers. Safety needs to be considered for workers who are on the retail side of the cannabis business. Check ID: Making sure all people in the dispensary are of legal age is a foundation to selling cannabis compliantly. Workers should spend time with the identification and the person to ensure it is all legit. The repercussions of missing this step could lead to fines, jail time, suspension or revocation of license. Know the customer: Working in retail settings gives an opportunity to meet all sorts of delightful and devious people. Employees must always be aware of their surroundings. Managers should create policies to limit the number of people in the shop in a way that allows the team to always maintain control of the premises. If a customer is escalating a situation and workers feel unsafe, they should inform their manager, call security or notify law enforcement. Keep it clean: Employees must be attentive to frequent, thorough handwashing and monitor the cleanliness of the shop and temperature control where appropriate. Keep it safe: The dispensary will have security protocols, high grade locks and cameras. These features are designed to keep the employees, the consumers and the product safe. Make sure workers follow security procedures to the letter. Next PostHow do you support your team?